Uglyworld #2006 - Man Downs - (Project Cinko Time - Image 211-365), a photo by www.bazpics.com on Flickr. Afters doing my bestesters to convinces Tray and Wage to gives the thumbs up to my kitchen plannerings, I was justs lookerings through the cupboarders when I almosts had a hearters attacker! 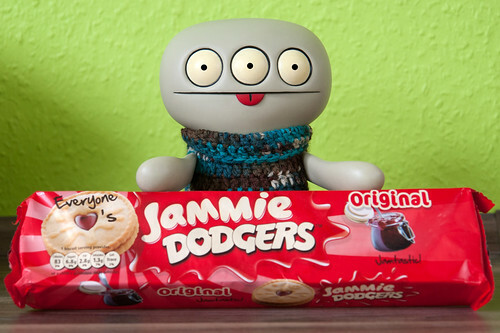 A packeter of Jammie Dodgers had been hiderings at the back of one of our cupboarders, I was so excitereds, well at leasts I was untils I realisereds that they is outs of date! Poostickers, I can't believers that I could possiblies have wastereds such a tastiers pack of cookies!